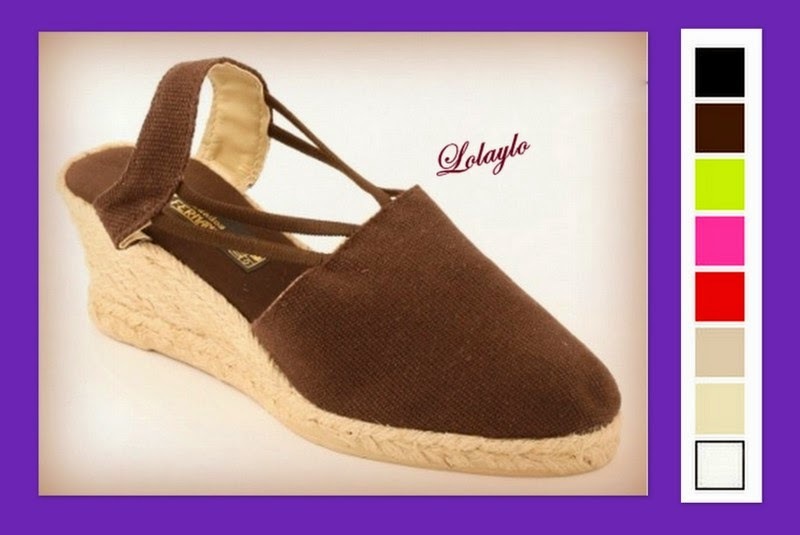 CALZADO – LOLAYLO. TRAJES DE FLAMENCA Y FALDAS DE SEVILLANA. Nº 1. MARIPOSA CUÑA BAJA. DISPONIBLE EN 18 COLORES DEL Nº 34 AL Nº 44. PRECIO: 28€. Nº 2. CUÑA BAJA CON CINTAS. DISPONIBLE EN 20 COLORES DEL Nº 24 AL Nº 41. PRECIO: 30€. Nº 3. CUÑA MEDIA CON CITAS. 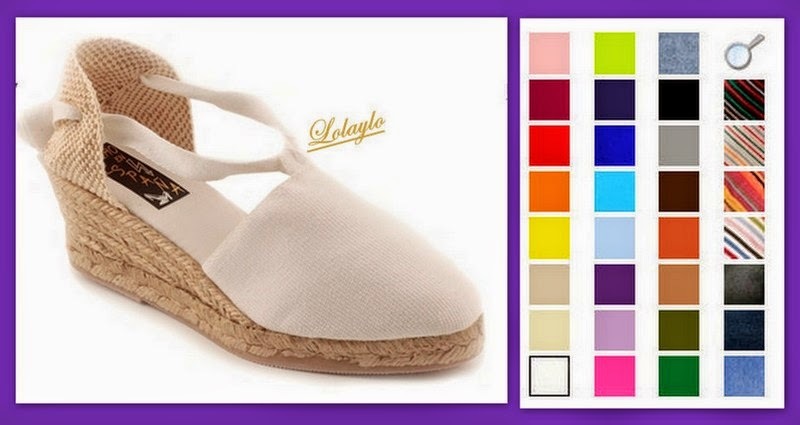 DISPONIBLE EN DISPONIBLE EN 31 COLORES DEL Nº 32 AL Nº43 PRECIO: 32€. Nº 4. CUÑA MEDIA CERRADA CON TALONERA. DISPONIBLE EN 15 COLORES DEL Nº 32 AL Nº 43. PRECIO: 32€. Nº 5. CUÑA MEDIA ABIERTA CON TALONERA. 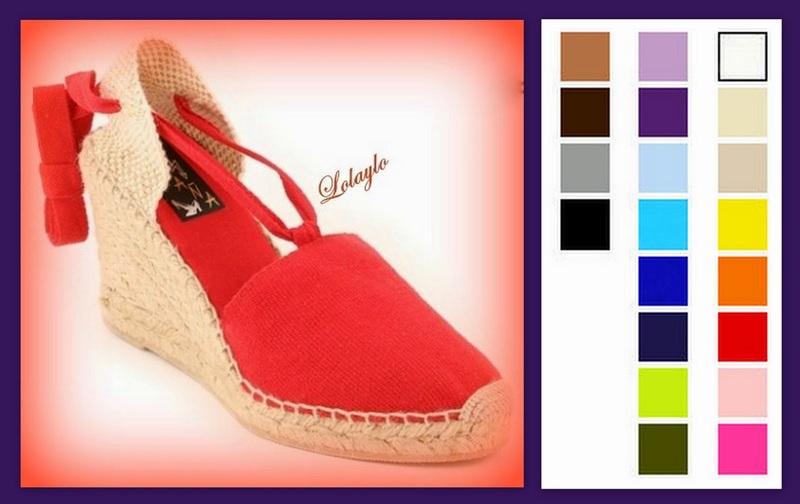 DISPONIBLE EN 15 COLORES DEL Nº 35 AL Nº 41. PRECIO 32€. Nº 6. CUÑA ALTA CON CINTAS. 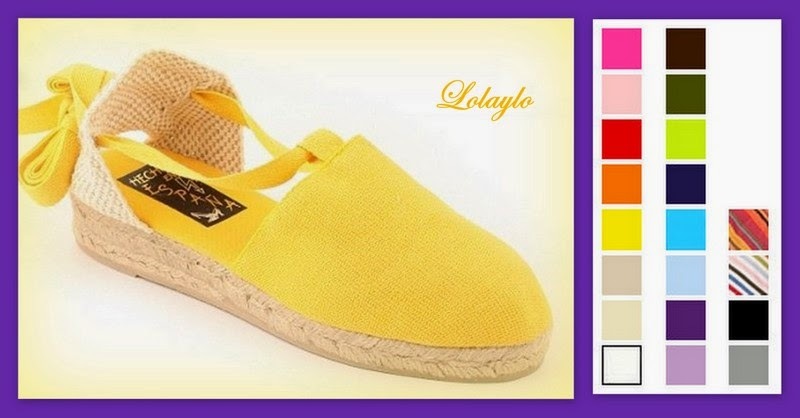 DISPONIBLES EN 20 COLORES. NÚMEROS DEL 35 AL 41. 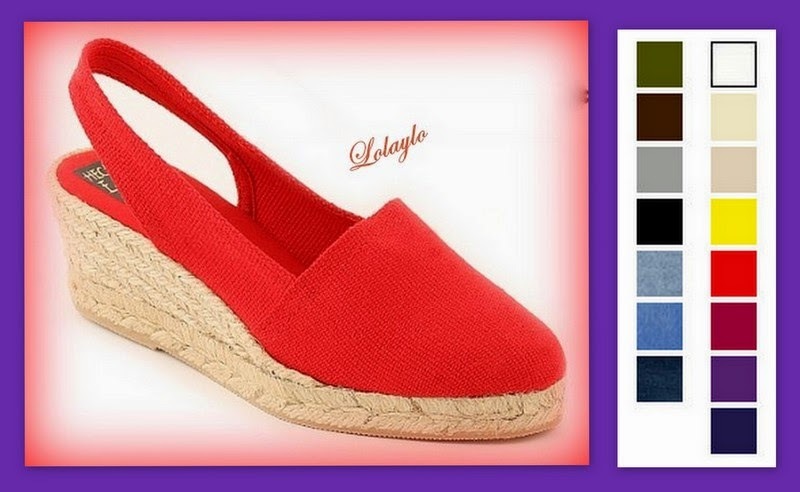 PRECIO 35€. Nº 7. CUÑA ALTA CON ELÁSTICOS. 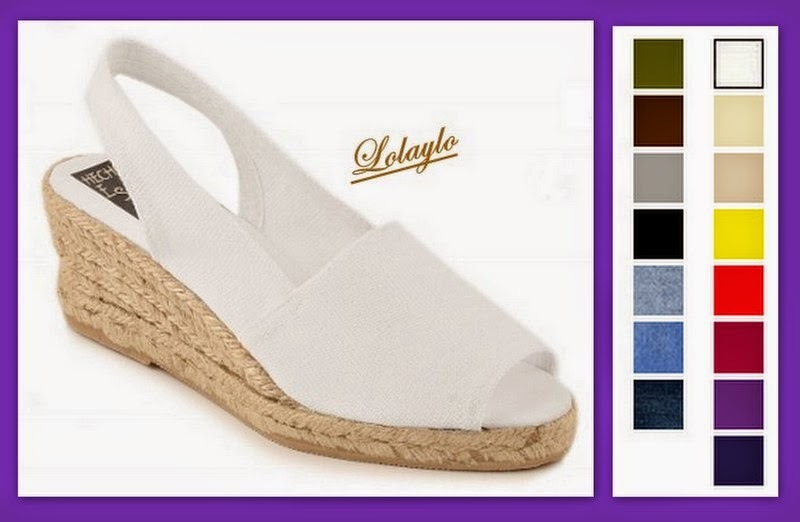 DISPONIBLES EN 8 COLORES DEL Nº 35 AL 43 PRECIO 35€.